Cinema’s mobility—the medium’s capacity to move beyond the confines of theatrical exhibition spaces—has long been exploited on the African continent, and to a diversity of ends. Even south of the Sahara, commercial theatrical exhibition—whether in roofed establishments or open-air venues—has coexisted with noncommercial, nontheatrical iterations of cinema since at least the 1930s. Colonial rule facilitated the rise of mobile cinema units consisting of vans, 16mm projectors, reels of 16mm film, collapsible screens, and—perhaps most significantly for the spread of market ideology—interpreters or comperes whose task was to “explain” the meanings (including the capitalist encodings) of imported films. In the aftermath of independence, colonial cinema vans were repurposed for neocolonial enterprise—heartily adopted by multinational giants, including pharmaceutical companies, for the exhibition of industrial films and the associated selling of drugs and other products. “Mobile vans reach Africans,” announced the American trade paper Business Screen in 1961. “The showing of sponsored advertising films and public-interest short subjects is a familiar practice throughout these lands.” Indeed, during and after colonial rule, mobile cinema units were exploited by numerous commercial organizations, including Unilever and Procter & Gamble, in order to move various products. By the 1960s, numerous pharmaceutical companies had co-opted these immensely popular cinema vans in order to advertise and sell their products, employing hawkers to describe these goods in detail (and, of course, to identify their prices for cinema audiences). Introduced by colonial governments committed to cultivating respect for free-market enterprise (however politically and racially constrained), mobile cinema units were later employed to help expand practices of consumption across the continent, thus confirming and extending their original function as instruments of the capitalist world-system. Brought to village squares and athletic fields, cinema vans, with their prototypical combination of screen entertainment (such as gangster films and romantic melodramas) and multiple modes of advertising (short industrial and promotional films accompanying the feature-length attractions, marketing slogans discernable on signage, and “interpreters” trumpeting the benefits of particular consumer items), anticipated a central aspect of today’s multiplexes, where African audiences are assailed by commercials for Coca-Cola as they wait for the latest superhero film to start. It is against this backdrop that Sunshine Cinema, a solar-powered mobile-cinema network, has emerged. Since 2013, it has screened to over 8,000 audience members across southern Africa, offering film showings and workshops devoted to community building and the pursuit of social justice. Sunshine Cinema’s reliance on solar power and its emphasis on environmental challenges should be of particular interest to anyone examining questions of power generation on the African continent in an age of accelerated climate change. 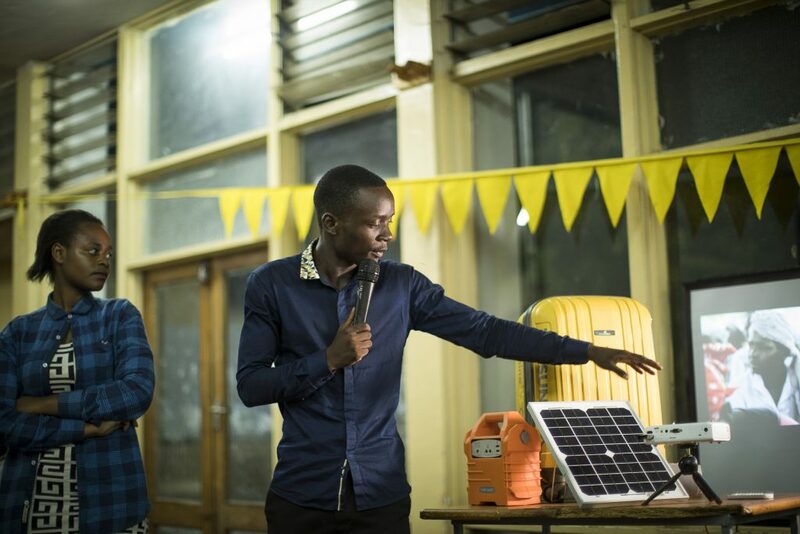 Indeed, a commitment to solar power—what Sunshine Cinema both promotes and embodies—is increasing throughout the continent. Nigeria, for example, invested $20 billion in solar projects in 2017 and is currently building a $5.8 billion hydropower plant to bring electricity to a rapidly growing population (which current estimates put at 198 million people, and which is expected to more than double by 2050). For some national economies, shifting to renewables is a means of getting more media to more people—a goal that resonates with some of the objectives of Sunshine Cinema. 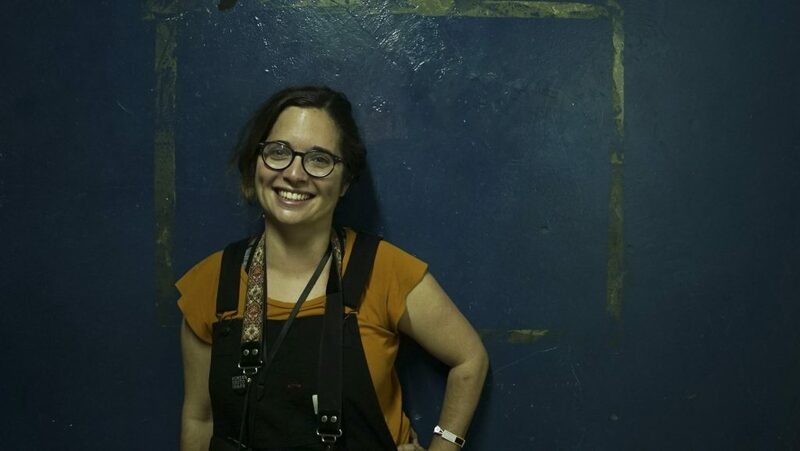 In the following interview, Sydelle Willow Smith, the director of Sunshine Cinema, reflects on the network’s origins, development, and possible futures. How would you describe Sunshine Cinema? How, when, and where did this project begin to take shape? Sunshine Cinema is a solar-powered mobile cinema network in Southern Africa, formed by a group of filmmakers keen to ensure the content they were making with local community activists could be brought back to those communities, highlighting local solutions to issues such as deforestation, gender equality, health access, and active citizenship. We started doing screenings of short films in 2013, and since then have developed a network of mini solar cinema kits (Sunboxes) run by appointed youth activists (Sunbox Ambassadors) in Alice (Eastern Cape), Qwa Qwa (Free State), Lebowakgomo (Limpopo), Gaborone (Botswana), and Kitwe (Zambia). 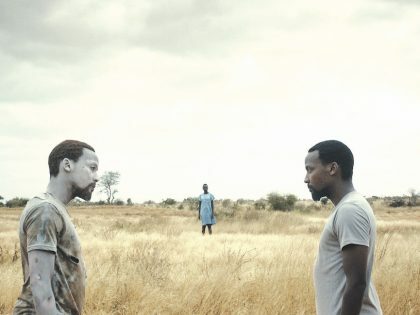 We screen predominately contemporary African feature films, documentaries, and animation to a wide range of audiences: films include Inxeba: The Wound, Strike A Rock, This Land, I Am Not a Witch, Winnie, Thank You For the Rain, Khumba, The First Grader, Uprize, Sisters of the Wilderness, and a host of others. Our key approach is to partner with relevant local organizations doing work relating to the themes of the films so that the audiences can be connected to a wider network of social justice activists. Our screenings are all free to the public. How would you characterize the current state of film exhibition on the African continent? Do you see Sunshine Cinema as part of a renaissance in filmgoing in Africa, or as an alternative to the new multiplexes being erected south of the Sahara? Sunshine Cinema operates as an alternative distribution platform ensuring that contemporary African cinema content is seen by a wider audience than just those that can afford the cost of festival ticket prices in urban areas or cinema complexes. Given the histories of missionary, colonial, and corporate uses of mobile cinema, do you see your enterprise as reclaiming this form of distribution and exhibition? Do you feel a particular responsibility to help undo mobile cinema’s historical associations with social engineering? Sunshine Cinema is directly influenced by the work of the Steps for the Future mobile-cinema initiative and its approach to using mobile cinemas to highlight everyday experiences of people living with HIV/AIDS to combat stigma. Political campaigns, and initiatives like the Bantu Educational Kinema Experiment and other colonial cinema outlets and their use of mobile cinemas for social engineering… carry very negative stereotypical representations and our approach is in direct opposition to that legacy. We want wider audiences to access the incredible quality of African films that are too often bought out by international distributors [and] never shown to wider audiences on the continent. We are influenced by the cinematic griot Ousmane Sembene and his use of cinema as an art form to reach wider audiences, celebrating local stories and storytellers. What have been the most significant or otherwise memorable experiences associated with Sunshine Cinema thus far? There are so many. 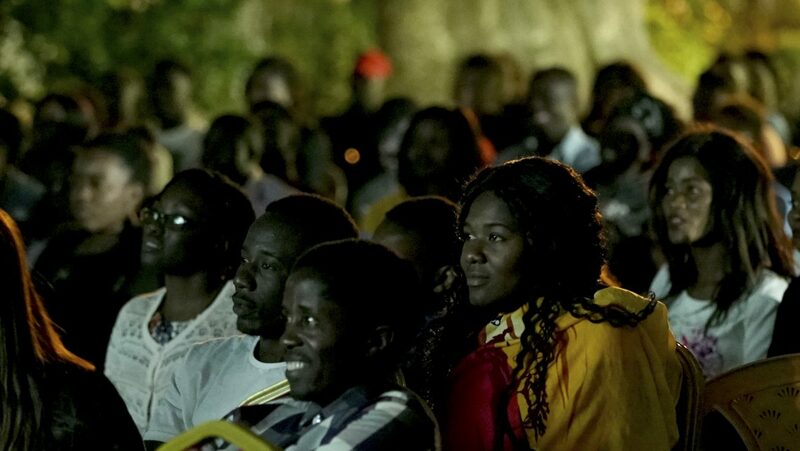 Five years down the line there have been a number of memorable experiences, but most recently, showing the beautiful film I Am Not a Witch  to University students in both Kitwe and Lusaka was a personal highlight. The way the audience responded to the film’s characters and its magical-realism style of storytelling was very powerful. Another really key moment was when we screened Inxeba: The Wound in Langa, and had a panel discussion with members of a local Xhosa circumcision committee, a queer sangoma, and LGBTQI activists after the screening. The discussion was very powerful and engaging and it really felt like the film became a tool for a wider audience to understand experiences of LGBTQI Xhosa people in relation to traditional cultural symbolism and ceremonies. Staff demonstrating the equipment. Image: Sydelle Smith. Each screening is different, each audience is different. But the biggest highlight so far is definitely the fact that we secured funding last year to drive our mobile-cinema-converted Land Rover 8,000 km from Cape Town to Kitwe to screen Winnie, Inxeba, Stories of Our Lives, I Am Not a Witch, and Whispering Truth to Power to around 200 people at a time in various sites across the SADC region. [Another highlight is] that now we have 11 Sunbox Ambassadors running 5 Sunbox cinemas doing 3-4 screenings a month of powerful African films! 2018 has been our biggest learning year for our approach as Sunshine Cinema. For many years we dreamed of a Sunbox network and this year we got to pilot it. We have learned so much from the process, managing expectations, working with different environments, people, contexts—it has been hugely challenging but very rewarding so far. We want to ensure moving forward that the Sunbox Ambassadors are not just showing dynamic films to new audiences, but also, we need to create stronger partnerships with local advocacy initiatives to ensure that the films can serve as tools for real social change to occur. We believe this is possible based on the way the pilot is going, and the roots we are establishing. What is the future of Sunshine Cinema? We have learned a great deal in terms of our approach based on feedback from Sunbox Ambassadors in our 5 new sites, and from developing the program with participating filmmakers. Based on the successes and challenges faced we feel that a wider rollout would be impactful for more youth ambassadors and local audiences to access these cinema hubs, as well as provide opportunities for filmmakers to extend and develop their impact campaigns for their films as we broaden our grassroots reach. We get frequent requests from filmmakers to work with us on a regular basis and we believe by expanding our reach across the continent we will be able to provide far greater opportunities for impact for their films in diverse communities. We also get regular requests from young people who want to join the Sunbox Ambassadorship program, highlighting the demand across the board. We want to grow the Sunbox network across South Africa and further afield with a wider array of local high-quality content, and we want to run more impact producer campaigns with social justice films like This Land. Since Cyril Ramaphosa’s State of the Nation address in February 2018, the land debate has intensified and there is a renewed interest in screening This Land to unlock debate and facilitate workshops on the land issue. In July and August of 2018, the constitutional review committee hosted public meetings on the proposed review of section 25 of the South African constitution. 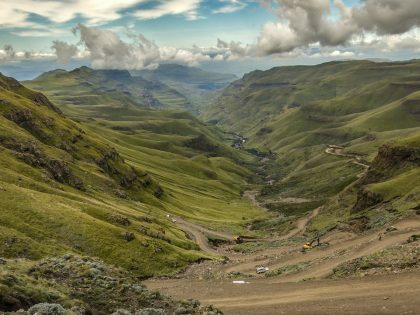 The outcome of these hearings will determine whether land can be expropriated without compensation, playing a key role in the future redistribution of land in South Africa. LARC (Land and Accountability Research Center), along with various other organizations addressing issues of land rights, facilitated workshops around these hearings and included screenings of This Land to unlock the discussion across the country with two Sunbox Ambassadors. Constitutional amendment public hearings took place nationwide led by two teams simultaneously. Although hearings took place in regional centers with access to power, the location for workshops for community engagement relied on informal community halls with fluctuating access to electricity and technical infrastructure. 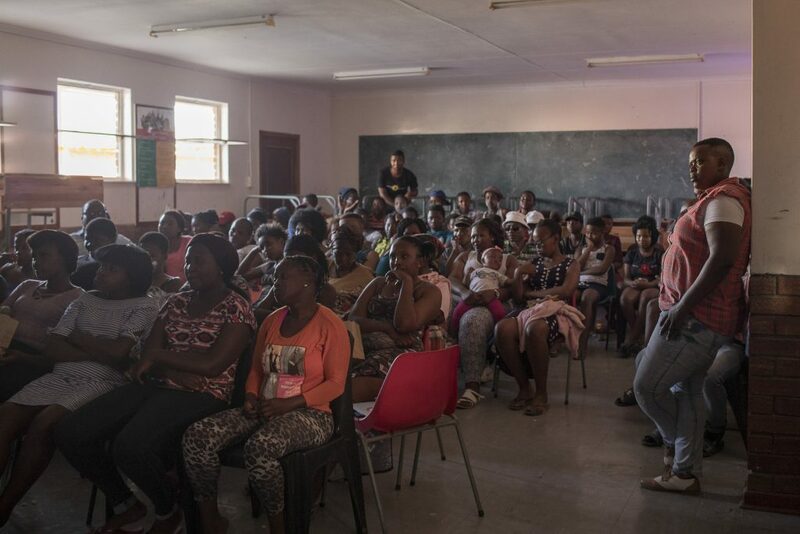 For this reason, Plexus Films and LARC partnered with Sunshine Cinema to make use of our mobile film outreach units and expertise in hosting screenings in rural areas. Sunshine Cinema made available 2 of the Sunbox units, which includes a projector, audio speakers, a screen and solar powered battery-pack. Each unit required a technical coordinator to take responsibility for the screening itself, a Sunbox Ambassador. This is a film intern with an interest in film and activism [and] was [recruited] through the contact base of Sunshine cinema and Plexus collectively. Sunshine Cinema supplied training and technical support to the ambassadors, while Plexus films assisted with logistical and production set-up as well as content support. The partnership with This Land and their partners LARC and ARD (Alliance for Rural Democracy) has taught us a lot about how to develop an impactful strategy. It is not enough to just show a film to a community that may face similar issues to the film’s themes. There needs to be a symbiotic approach; thus a component of an activism training in the workshop, adequate access to legal resources, and the strengthening of civil society in order for the aim of film as a tool for advocacy to really be achieved. This partnership was timely with regards to the current amendments to land reform in the constitution and it was very important that communities had access to the film and the workshops before the hearings. Whether or not these preliminary engagements had a direct impact on the outcomes of the hearings is yet to be determined. Therefore I would recommend that advocacy tool kits are developed in vernacular languages and given out at the screenings that could enable communities to be linked to wider networks of activism support, legal protection, and relevant land rights resources in order for the film to really have [an] impact. Continuing the program through online engagement could also be potentially very impactful, strengthening the networks of community mobilization support and accountability so that the local activism is not just happening in isolation. 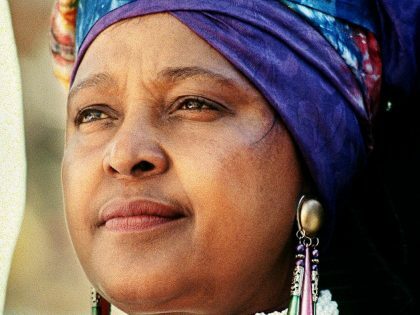 Land reform in South Africa has to not only tackle racial inequalities of ownership, but also the power of chiefs and the Zulu royal family.